We specialize i offering a wide range of Hospital & Medical Caster Wheels specially designed for various pharmaceutical industries and other medical market. We serve these casters as non-magnetic and are quiet mobile and are also MRI room compatible. This Anti Static Caster Wheel series comes in bright nickel plate for attractive appearance and rust and corrosion resistance. The wheel perfect for the rugged floor, spins even more freely to mobilize the medical equipment. This Medical Chair Caster Wheel is popular because of its elegant style characterized by smooth clean lines. 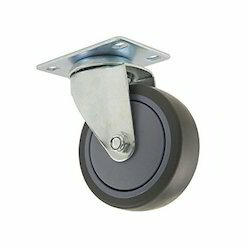 Precision sealed swivel and wheel bearings guarantee this caster to be noise free and maintenance free. 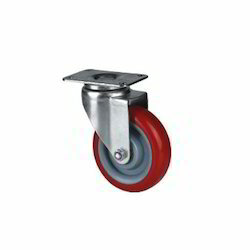 The strong nylon body and non-marking gray soft rubber wheels make this caster ideal for many medical applications. Material used for construction ABS plastic with polyurethane coating. These Hospital Grey Rubber Caster are specifically designed for multipurpose medical, hospital & laboratory instruments. This series is available with strong grey rubber, roller bearing and caster construction which make this model strong enough. 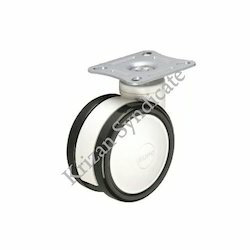 Looking for Hospital and Medical Caster Wheels ?